Some of you are asking yourself that do you require a versatile site, the answer will be surely positive to give best conceivable client experience to your clients when going to your site through a versatile gadget. 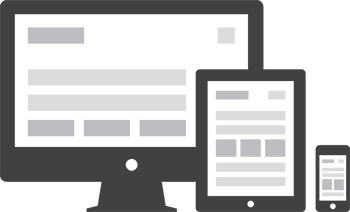 The planet has changed from wired gadgets to the remote ones, and to be with the clients you will embrace a responsive site plan that runs on practically on all gadgets or a versatile site outline that is good with cell phone units. At eye4future we furnish extreme responsive website design services that distinguishes the browser, gadget and its screen determination and showcases the site as needs be, we have had the ability to process some extraordinary responsive site plans by utilizing the most recent advances like Html5 and Css3 for the liquid site outlines. This takes a shot whatsoever units incorporating iPhone, Android, iPad, little portable computer screens, and extensive desktop screens. There is still a case for having devoted versatile websites, with constrained matter for specific clients. Contingent upon a customer specific prerequisites, this may be an answer worth executing and we have thought that that was this must be dead set on a case by case support.